We must not expect happiness. It is not something we deserve. 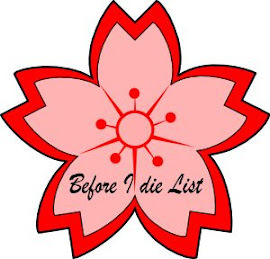 When life goes well, it is a sudden gift; it cannot last forever. The phrase "grace under pressure" first gained notoriety when Hemingway used it in a profile piece written by Dorothy Parker. Parker asked Hemingway: "Exactly what do you mean by 'guts'?" 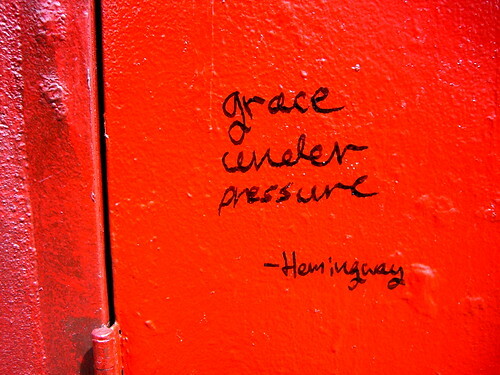 Hemingway replied: "I mean, grace under pressure." The profile is titled, "The Artist's Reward" and it appeared in the New Yorker 5 (30 November 1929), pages 28-31. The first published use of the phrase, however, was in an April 20, 1926 letter Hemingway wrote F. Scott Fitzgerald. The letter is reprinted in Ernest Hemingway: Selected Letters 1917-1961 edited by Carlos Baker, pages 199-201. Grace under pressure is something we should all aspire to. Lots of us never will see that deep composure, calm demeanour and soft assessment of the situation once we are under real pressure. The gift of that ability is rare. But we can all see it when it is there and we can emulate the techniques that allows for a win-win for all concerned. The situations in which our composure is threatened are very numerous and variable. If we have the insight to know that something is in front of us that requires a detachment from the outcome, while still working to get the best outcome, for ourselves and those around us, we are indeed favoured by the Fates. Getting ourselves into a sane and safe place in the midst of trouble, is certainly worth striving for. Being in optimum health helps. Getting the major stressors under control helps. Getting the family issues sorted out helps. Everything that we confront affects something or someone close to us so we need to recognise our own role in the way it plays out. "Make a wish and live in delusion"
Questo blog non rappresenta in nessun modo una testata giornalistica, in quanto non viene aggiornato a intervalli regolari e non ha scadenze periodiche.Di conseguenza non può considerarsi un prodotto editoriale ai sensi della Legge n. 62 del 07.03.2001.Parte delle immagini, contributi audio o video e testi usati in questo blog provengono dalla Rete e i diritti d'autore appartengono ai rispettivi proprietari.Qualora l'uso di testi e/o immagini violasse i diritti d'autore, lo si comunichi all'autore del blog che provvederà immediatamente alla loro rimozione. She was a girl who knew how to be happy even when she was sad. And that’s important - you know. - Just turn towards the sun after the rain. - Ci sono sempre mille soli al di là delle nuvole. - I need your lovin' like the sunshine. - Ricordarsi che non è mai troppo tardi per voltarsi a guardare il sole. Ancora una volta. - The sun is always rising somewhere. - Let the sun embrace your darkest shadows. -Il segreto e' fare tutto come se vedessi solo il sole.. e non qualcosa che non c'e'.